“After a few years of watching the human species make things unnecessarily difficult for itself I have little hope that it will do anything more than survive and continue its cycle of errors,” writes Octavia E. Butler in the afterword of “Childfinder,” the second of two narratives in Unexpected Stories by Octavia E. Butler, an eBook published posthumously by Open Road Media. Octavia Butler’s untimely death in 2006 proved a substantial loss for contemporary literature. Having published science fiction since the 1970’s, Butler was, for decades, considered to be the lone ambassador for Black American women in the genre. A recipient of the highest honors a SF author can receive— including Nebula and Hugo awards as well as a PEN American lifetime achievement award and a McArthur “Genius” Grant—Butler’s catalogue embraces a spectrum of subject matter including race relations, feminism, trans-humanism, and queer theory. An anomaly in that Butler transcended the confines of her genre to earn respect in both popular and scholarly circles, Butler’s work is increasingly lauded as an example of sterling postcolonial and feminist Black American literature alongside other canon darlings, Toni Morrison, Alice Walker, and speculative fiction foremother, Zora Neale Hurston. Over the course of her career, Butler published thirteen titles. The last of which, entitled Fledgling, was published in 2005. Having been without new work by Butler for almost ten years, reading unpublished stories by this singular author is a thrilling prospect and feels right on time. Unexpected Stories read like two lonely satellites now orbiting Butler’s other works, valuable by contributing to our further understanding of her complex and abundant imagination. Although these two narratives were originally launched earlier in her career and we read them now out of chronological order, it’s still our Octavia. More of her unmistakable prose, memorable characters, and distinctive plots have returned to us across time and space bringing some closure to the rift left by her passing. Paradoxically, the most consistent threads in all of Butler’s works have little to do with finding closure and more to do with the cyclical nature of community, transition and transformation, and always, always—risk. “A Necessary Being” (a novella dating back to 1972) operates as a prequel to her novel, Survivor, which Butler famously regretted publishing. In this novella, we are introduced to the Kohn; bipedal, fur-covered, inhumanly strong humanoids that function within a strict class system denoted by the blueness of their fur. Much like the muscle-triggered chromatophores in squid, the Kohn can camouflage themselves into their surroundings and their coloration reflects their mood. The bluest of the Kohn are rare and born rulers called Hao who preside over tribes of the Kohn dwelling in various city ruins. The novella opens with a middle-aged Hao of the Rohkohn tribe, Tahneh, who is nearing the time where it will almost be too late for her to find a mate and produce offspring to continue her line. Her hunters happen to spot and capture a young Hao named Diut and his companions from a rival tribe, the Tehkohn, as they are exploring near the ruins of the Rohkohn. Diut is brought into the city to meet the Rohkohn Hao and helplessly finds himself as attracted to her as she is to him. Unfortunately, Diut (being of a rival tribe) risks being maimed and made to remain a prisoner of the Rohkohn for the rest of his life. What surrounds Tahneh and Diut’s brief courtship is a flurry of personal sacrifice amid remorseless political maneuvering to find a solution that resolves both Haos’ needs to provide safety and sanctuary for their peoples. Moving immediately at an intense clip, “Childfinder” revolves around a Black woman named Barbara who possesses psionic abilities as well as the skill to locate untrained children with similar traits. Having broken ties with an essentially racist parent organization, Barbara has begun teaching carefully selected kids from the ‘hood to defend themselves against the organization’s controlling initiatives. When a representative, Eve, finally shows up at Barbara’s door to threaten her to return to the fold, both women abruptly find out more than either could have possibly foreseen coming from Barbara’s regiment of recently trained psychic children, leaving her with only one drastic choice to ensure their continued safety. “Childfinder” as a standalone story feels truer to the pace and character interaction we are used to seeing from Butler. In the streamlined prose of Barbara’s inner monologue, we learn much about the dynamism of her character as well as her fierce commitment to her mission and her kids. We don’t see much backstory, but then, one of Butler’s finest qualities as a writer is to unapologetically plunk her reader amidst a near-crisis without us feeling cheated. We are given just enough room to work out the exposition in real-time as the characters make choices and react to subsequent consequences. Choice and consequence are another way to say trial and error. Again, what is most clear about these stories is the obsession Butler has with playing out parabolic scenarios where humans or human-like characters are forced to take risks and either learn from them or sometimes literally die or cause someone else to die trying. Furthermore, it’s never just one life at stake. Often it is the fate of an entire community, struggling to survive amidst incomprehensible odds, that rests most heavily upon the consciences of her protagonists. The compromises that ensue are never easy or comfortable or even entirely satisfactory for Butler’s characters, but they may ensure survival, and survival is paramount to all else in her narratives. What Butler understood and what I believe she sought to help her audience understand through the subtext of “learn and run” threaded throughout her stories—these two being no exception—is that Change is the nature of the universe. It’s up to us to either adapt or be replaced. The Society Thanks This Reviewer! 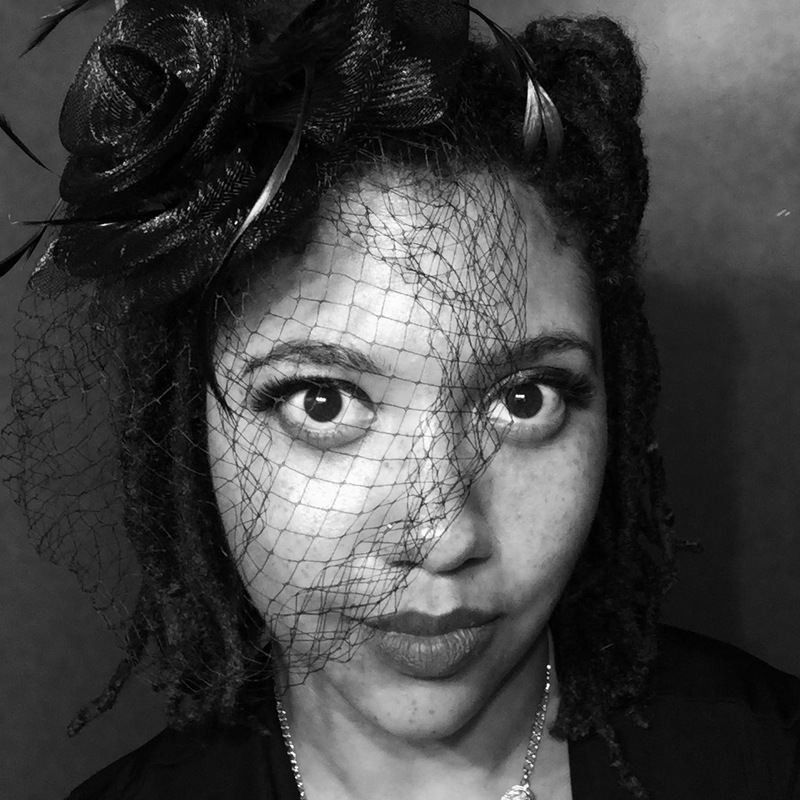 Bianca Spriggs is an award-winning poet and multidisciplinary artist who lives and works in Lexington, Kentucky. Currently a doctoral candidate in English at the University of Kentucky, she holds degrees from Transylvania University and the University of Wisconsin-Milwaukee. Her scholarly interests include dystopian and post-apocalyptic fiction, specifically speculative works by Black women writers. Bianca’s poetry and essays have been widely published and she is the author of four collections of poems including the forthcoming titles: Call Her By Her Name (Northwestern University Press) and The Galaxy is a Dance Floor (Argos Books). Bianca serves as the current Managing Editor for pluck! The Journal of Affrilachian Art & Culture and Poetry Editor for Apex Magazine: A magzine of science fiction, fantasy, and horror. You can learn more about her work at: www.biancaspriggs.com.